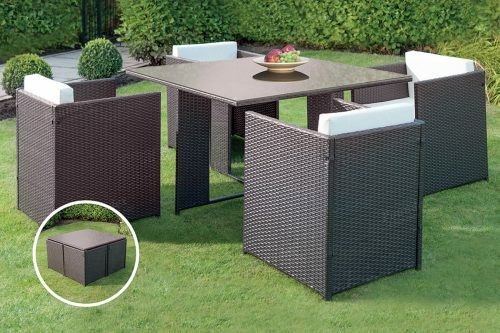 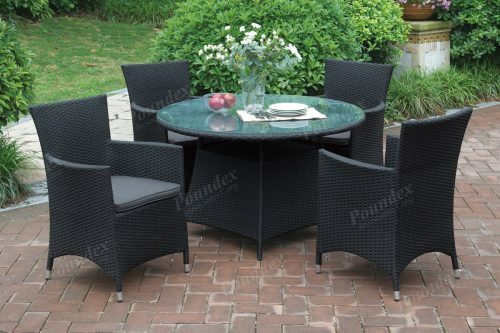 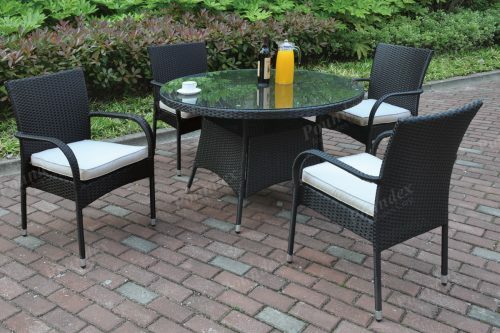 Eat and drink in style with this 7-piece patio set that includes an aluminum rectangle shaped table with a sleek countertop. 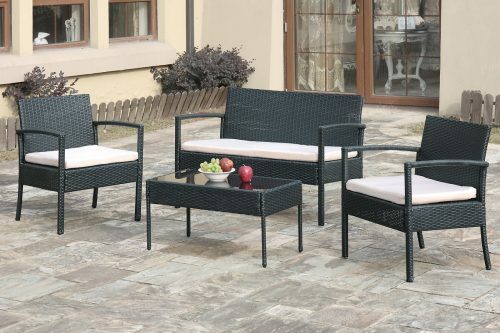 Set also includes six ultra luxurious chairs cushion in durable resin wood and seat frame. 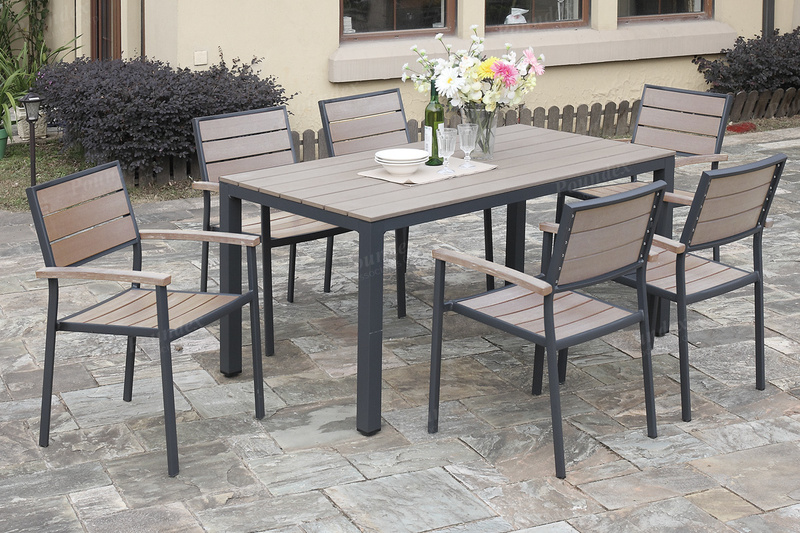 Each piece is covered in aluminum and resin wood rust-free with material that is also weather, fade, and heat resistant.